Miner – Your win condition! Use it to wreck pumps and Princesses. Usually paired with Poison. Remember always to switch up your Miner placement! Doing this won me so many clutch games. One of my favorites pushes to let the opponents Arena Tower lock on to your E Wiz and then send in the miner. The tower locks on to the miner, resulting in even more damage from the e wiz. 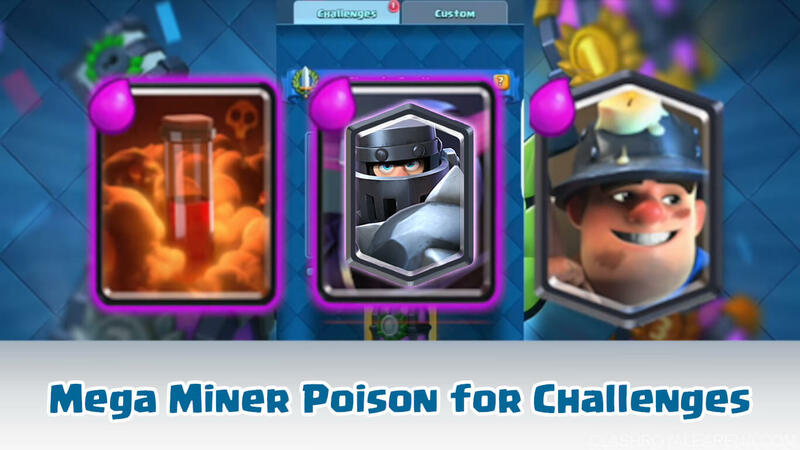 Poison – Paired with the miner. Self-explanatory. 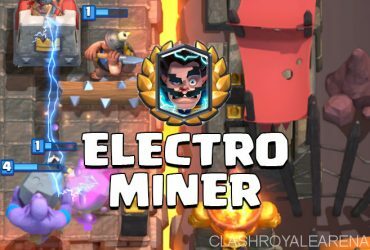 Electro Wizard – Glass cannon and primary air defense. Kills Infernos and Sparky. Also is very good against Balloon. Never place it behind your king tower if you know he has Rocket. Bandit – Use this card to punish every last mistake your opponent makes. Drops a golem in the back? Miner Bandit. Could be used to snipe Inferno Towers when its three tiles from the river. Try not to use it on defense because of its low health. Mega Knight – the Man, is this card strong. I unlocked it from the 9 wins Legendary chest. I would save this until the opponent clumps up all his troops. Use it for value! Try not to drop it without making the most out of its spawn damage. In 2x elixir, counterpush!!! After successfully defending with MK, spam all your troops down on the Arena tower. Bats – Cheap air destroyer. Pair it with Bandit or Miner on offense. Can be substituted for Minions. Inferno Dragon/ Mini Pekka – Tank killer. Wreck Giants, Golems, etc. Try to keep it out of Lightning range. Experimented with both, but found Inferno D to be a bit better. If you face a lot of Hogs, use the baby Pekka. Zap – Use it to reset pesky Inferno dragons and towers. Not much else to say. Scope out the opponent’s deck. If he has a pump, Miner Poison it. (maybe add Bats for support.) Don’t get behind on Elixir. If you see that he is overcommitting to his push and you easily counter it with your Mega Knight, push hard on the opposite lane. For example, they have a Giant Wizard Musketeer Witch push coming down. Drop your Mega Knight on the support and Bats on the Giant. Then, do a Miner Bandit push on the other lane. They will have that to deal with and a half health MK on the other side. I have taken two towers in the first minute by doing this. Now that you know your opponent’s deck see where you can make positive trades. Maybe go in for a Miner poison on their tower. Don’t over commit on offense. And don’t overcommit on defense, either. You get the best challenge results when you find the perfect balance of both. Golem – Medium matchup. Miner poison collectors. Rush the other lane when he places the golem. Inferno Dragon on the golem and Mega Knight on the support. Bats to clean up. Easy as that! P.E.K.K.A. – Easy matchup. Don’t let the Hog/Bandit get too many hits on your tower. Miner Poison pumps. Defend the PEKKA with your air troops + e wiz. Don’t go too hard on offense, as they can easily defend with a single PEKKA. Hog – Medium matchup. Place your MK on the Hog so that it gets no hits on your tower. Do NOT give them Lightning value. They will easily out cycle to you so that you will take some damage. Giant – Hardest matchup, surprisingly, with all the Giant MK decks floating around. Outcycle them! Miner Poison pumps, Inferno D the Giant/MK. Don’t let their E Wiz lock on to your inferno. Bats on their Mega Minion. Never give them Lightning value. Graveyard – not much of this lately. Poison the GY. 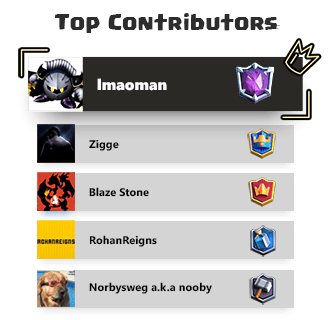 Mega Knight the support. RG – Definitely the easiest matchup. Its okay to over commit on defense, as they will face a powerful counterpush. Inferno D + E wiz the RG, and then send in a Miner to tank. Have zap at the ready. 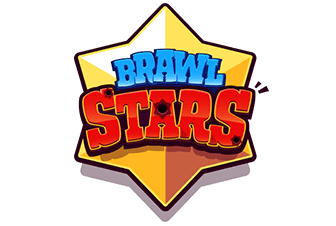 Lavaloon – Medium/hard matchup. Watch out for the Lightning: Poison the minions AND the tombstone. (value!) Bats on the balloon, Inferno D on the Hound, drop E Wiz or zap on the Pups. Balloon – Hard matchup. Don’t always rely on Bats o take out the Balloon, as they can just zap them. Go hard on offense! Balloon decks lack a strong defense. E wiz wrecks balloon. 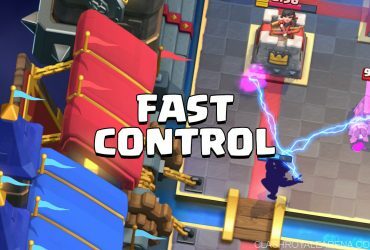 Mega Knight – Medium/hard matchup. Rush the other lane once your opponent makes a mistake. (like dropping MK in the back) Inferno D on the MK, Zap the bats. E wiz on support. Don’t reveal your MK until they clump up their troops! Well, that’s all for me. I hope you have fun dominating Challenges with this deck! Peace out.